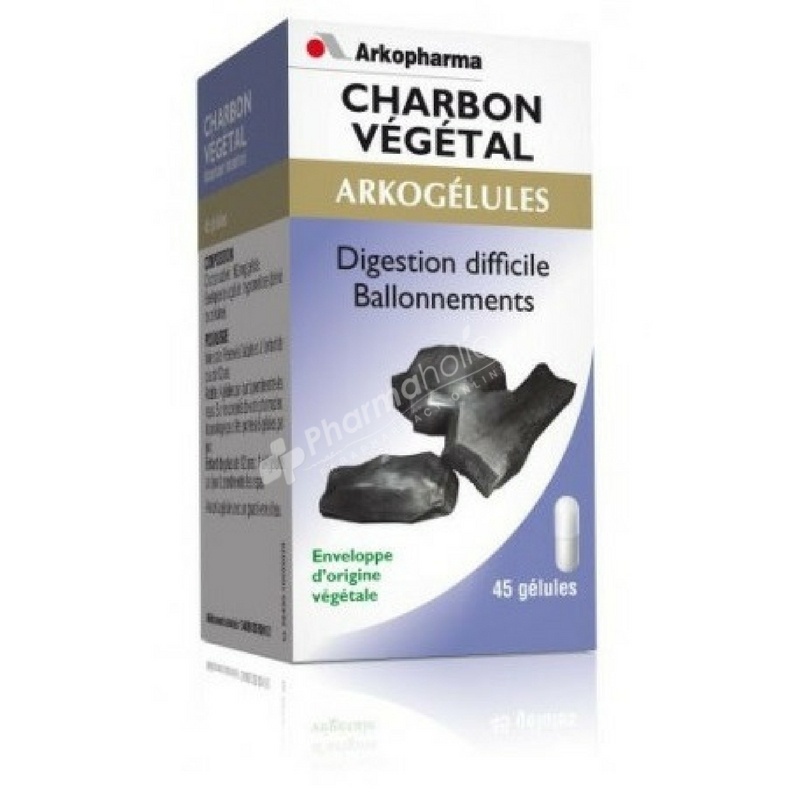 Arkopharma Arkocaps Plant Charcoal is a dietary supplement indicated in adults and children over 12 years in the adjuvant treatment of digestive functional manifestations (difficult digestion), especially with meteorism (intestinal bloating) and diarrhea. 4 capsules per day to be taken between meals. On the advice of your pharmacist, the dosage can be increased to 6 capsules per day. 1 to 4 capsules per day between meals, with a large glass of water. Do not leave in the reach of young children. Do not exceed the recommended daily dose. Keep away from light, heat and moisture. This medication will only be used during pregnancy on the advice of your doctor. Do not take Arkocaps Plant Charcoal if you are allergic to any of the constituents. A dietary supplement should not be a substitute for a varied and balanced diet and a healthy lifestyle. As this medication may decrease the absorption of other drugs, they should be administered at a distance from the drug (more than 2 hours if possible).